Fully reversible with super cosy tactile shearling on one side and a light peached leather finish on the other, two reversible slanted pockets, revere collar and reversible invisible popper fastening, turn back sleeves. 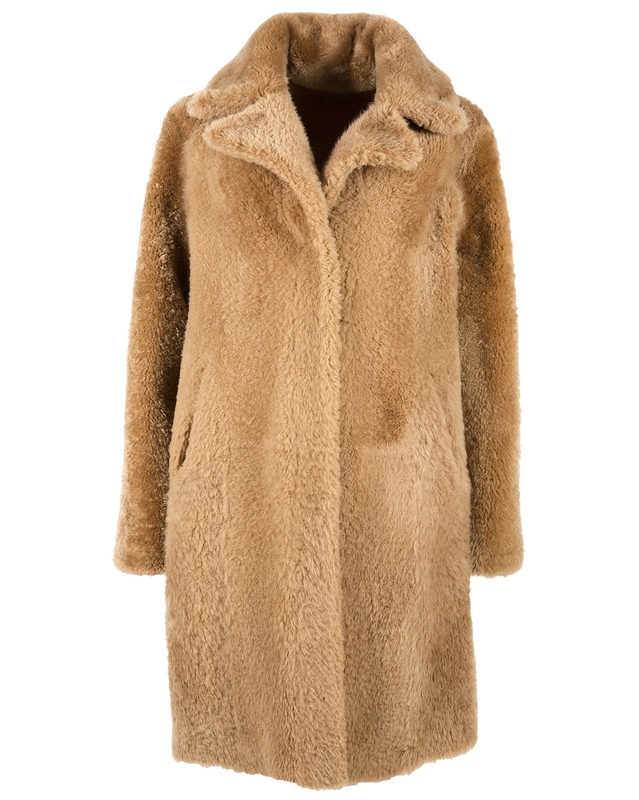 This coat is just beautiful - cosy, sumptuous and just gorgeous! 10/10 for Celtic once again. Great products that you wear season after season. It is a little on the larger size, so I was glad to read the other reviews on sizing. I opted for a size 8, when usually I take a size 10 in Celtic's clothing range. Their boots are just fab too. :) I would highly recommend this company for beautiful quality clothing. 'I purchased this gorgeous coat just before the colder months and couldn't wait to wear it. I have to say that I was a little nervous about spending this amount of money online but could not fault the service and delivery from this charming business. I purchased a size 8 and although I am a true 8 and 5'4" the fit is great. A little roomy that allows for a thicker sweater but this is how this coat should be worn. 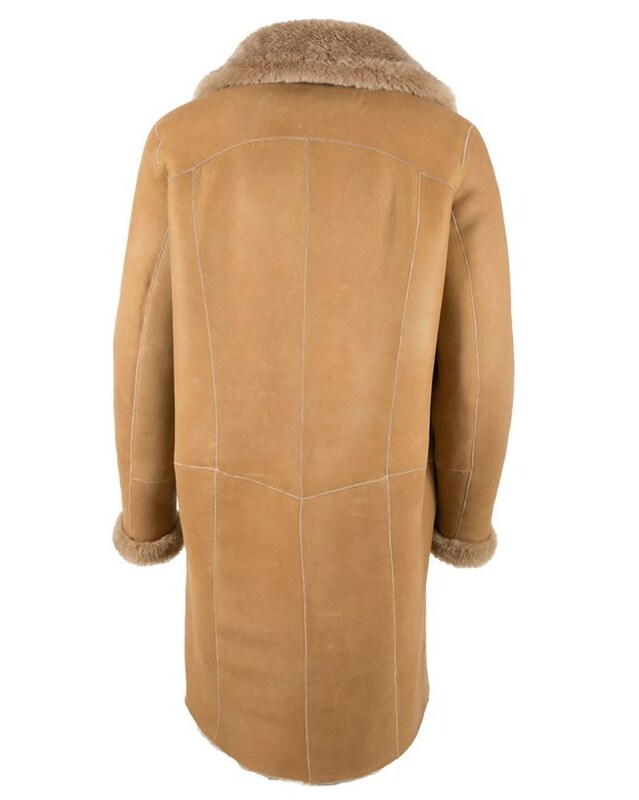 Now the colder weather is here I can finally wear my coat - or should I say that you cannot part me from this beautiful piece. Not only is it toasty warm, but it is so lightweight. 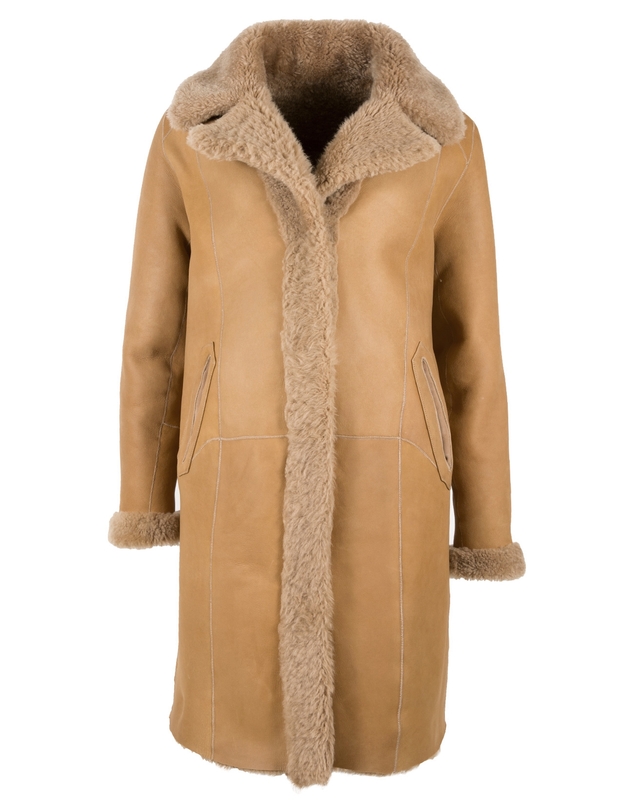 It's lightweight sheepskin is beautifully styled to drape and fit fabulously, and give sheer comfort and warmth. I have worn it on warmer days just hanging loosely open for a different look and again it is so comfortable. The reversible nature of the coat means you can sport a different look for a different occasion. A stunning piece that will no doubt last a lifetime. 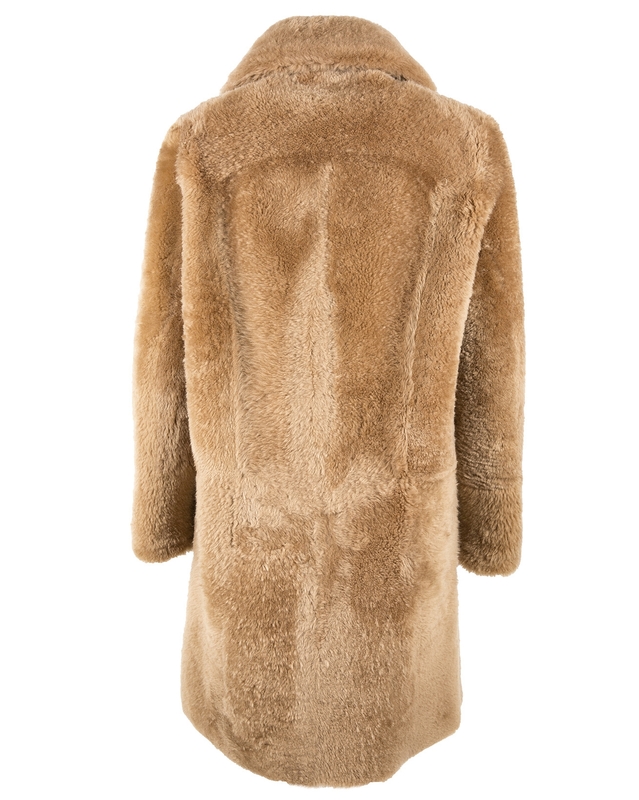 This is a gorgeous coat, I wear mine with the fur inside. No matter the weather, you barely need anything inside so it is perfect for going out dressed up for a party in cold weather as you can wear a very skimpy top underneath and still feel toasty. I also sent back my size 18 for a smaller one as it comes up big.